Beautiful fruit basket / plate from the fifties. 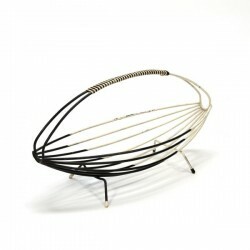 The basket is made of black and white metal. 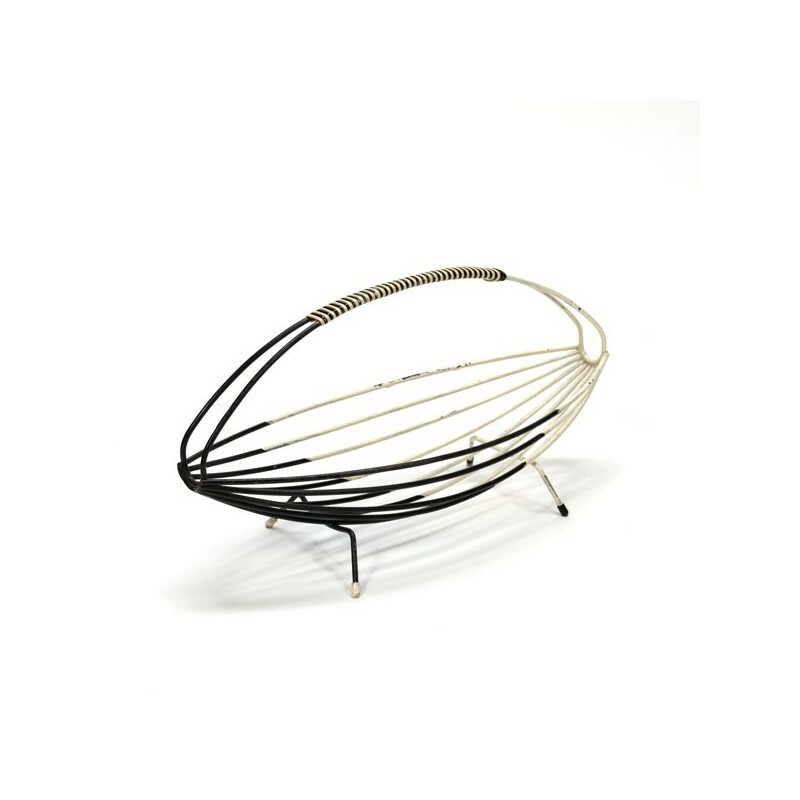 The fruit basket is in a fair condition given it's age, see detailed pictures. The size is 39 cm long, 15,5 cm wide and 21,5 cm high.